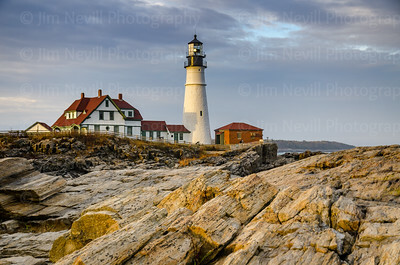 In this gallery are structures, historic landmarks and interesting sights around urban areas. I typically avoid the classic shots of places that are frequently photographed but at the same time, it is very important to remember that there is always a new way to look at every situation. This gallery tries to capture the essence of places people may know well yet hopefully I'll offer a new and unique perspective on. January 12, 2017 was the day after the biggest flood of the decade burst the Russian River's banks just a few miles away in Guernville, CA. 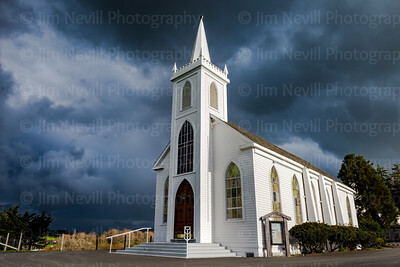 An intense storm cell was moving through town when a brief clearing occurred, sending a focused sunbeam across the west face of the historic church. I ran up to photograph it before the light dissipated, took a few frames and noticed in the other direction, over my left shoulder was a very clear double rainbow. Then, alas, it was all gone. If you follow my work you probably wonder where rusty chains, concrete, steel girders, brick buildings and parked cars fit into my photographic interests…and you’d be right. There are some places though, which are quintessentially man made that interact so beautifully with the surrounding nature that I can’t resist. 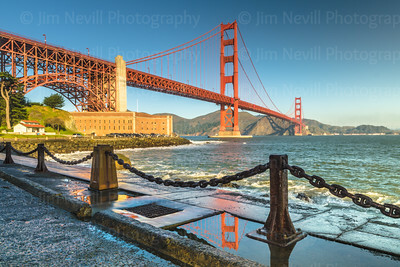 Fort Point, located directly below the Golden Gate Bridge is certainly one of those awesome places. I first learned about this place from surfing it. The wave breaks as a result of the confluence of bridge pilings, submerged boulders, built up sands and large northwest swells. I will never forget the exhilaration of surfing directly below this beautiful bridge, looking at Alcatraz and trying not to let my toes dangle too deep, a feeling that was crystallized on one particular occasion when I was charged by a large bull sea lion. With a big part of it’s body standing vertically out of the water, it came so close I could see the red ring of its eye and smell its fishy breath before it dove below my board, never resurfaced –just bluffing. In this shot there are a few surfers in the distance and the swell was up which caused ocean spray to soak the concrete in the foreground, allowing for that wet chain and pretty reflection of the bridge in the puddle. 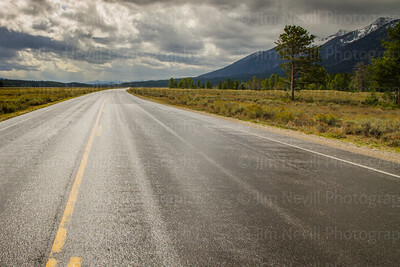 Getting to be in the The Grand Teton National Park the week that autumn left and winter arrived was amazing. There really is no way tot time it by calendar date, you have to do it on nature time an entirely by chance I was here to see it happen. 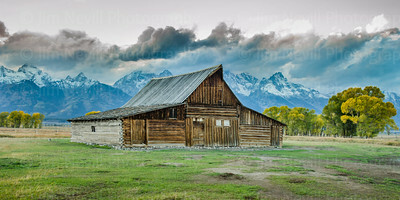 This is a 2:1 ratio panoramic of the classic Moulton Barn dramatically set in front of the aspens and Teton Range. 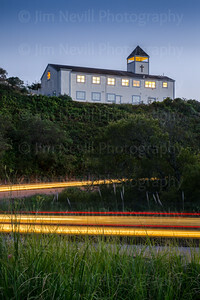 Shot on a sharp bend just below Bodega Bay Christian Church at twilight this image tells the metaphorical tale of the twisty road that often leads people to and from religion, faith and 'the light'. 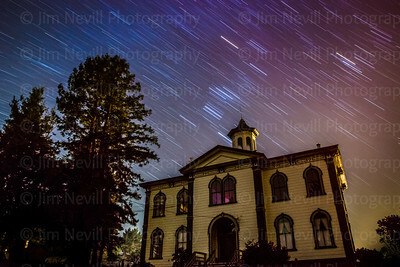 I've driven past this church for 18 years, but never realized the photographic potential of it until getting into shooting light trails. The Children's Bell Tower is really cool. It was inspired by the 1994 shooting in Italy of Nicholas Green of Bodega Bay (who was 7 yrs old) by highway robbers. His parents donated his organs so that 7 Italians could have a better life. 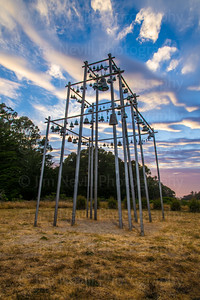 The memorial was designed by Bruce Hasson, a Bay Area sculptures. Families, schools, & churches all over Italy donated bells to be hung on the three towers. 130 bells were used, the centerpiece was made by the Marinelli Foundry. The centerpiece bell was blessed by Pope John Paul II. It has the names of Nicholas & the 7 sick people who were given a new chance to live a full life. The memorial is next to the Bodega Bay Community Center, on the ocean side of Hwy 1, about 1.5 mi from the visitor center. I have wanted to shoot this photo for many years. San Francisco and the GG Bridge is so spectacular and on a clear night with a full moon (out of frame on the left) I was able to get the sky to light up too. Adding the element of a barge passing below tells the tale of a long exposure. SF's Marina district and Pacific Heights is off to the left, the Presidio and Twin Peaks in the middle and Sea Cliff and the Outer Richmond is stage right. 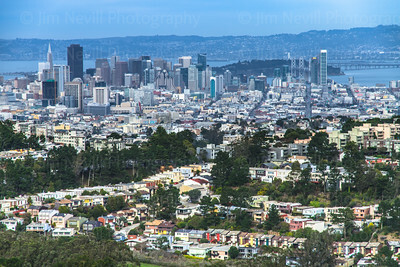 This ultra wide angle image of San Francisco was taken from the top of Mount Davidson, the lesser know highest point in the city. Mt Davidson offers hiking trails, public access and huge shrine and pretty eucalyptus groves. The image shows downtown SF, part of Oakland, Berkeley, the Bay Bridge and many neighborhoods in great detail. Recommended for larger print sizes. 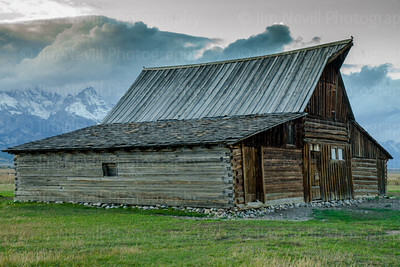 This stark representation of the 1800's Moulton Barn tells the story of the human history in the Grand Teton National Park. 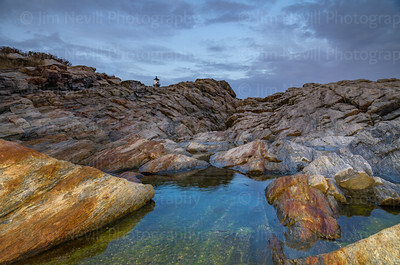 With the grey and brown tones and muted mountain scene this photograph coveys the raw and ruthless struggle that the original settlers must have endured. I took this photo on 7/12/13 with the American flag flying at half mast in memory of the 19 Arizona smoke jumpers who perished the day before in the now infamous Yarnell Hill fire. 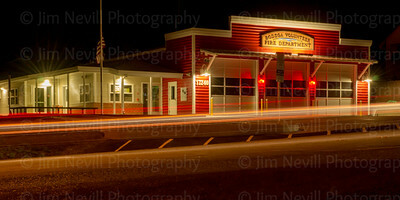 I shot it at around 10PM, and was unhappy with the results until a car drove by leaving those light trails in the foreground. To me this picture symbolizes honoring our fallen heroes while remembering that we need to move on and work to prevent future tragedies. (2:1 Panoramic Crop). This photo was taken the evening of January 1, 2014 during a very rare celestial event, New Moon on New Years Day. Built in 1873, the house was originally the Potter Schoolhouse, then a local community center, an inn, a restaurant, and a guesthouse. It’s now a private residence, Hitchcock saved the property in 1963 with the filming of "The Birds". The redwood building had been abandoned the year before he decided to film. 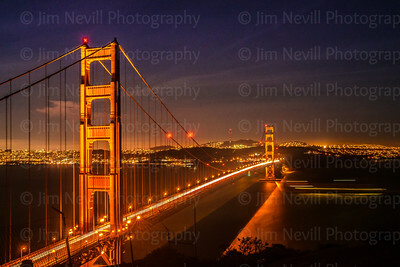 The bright lights to the right side of the frame are from downtown Bodega, CA. The darker sky to the top left is the Milky Way. 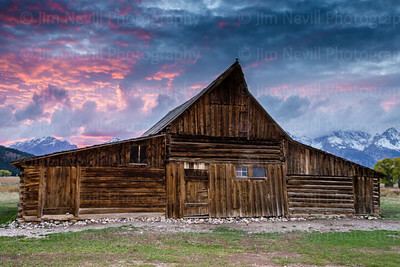 These historic barns are located in the Grand Teton range and are a classic stop for photographers. This night, the light was rather dim but a kind photographer from Texas named Renn Lawrence offered me his wide angle, f/2.8 14mm x 24mm Nikkor lens to see if I could get a different result. Soon after, the setting sun put on this pink light show and I came away with this shot. The fluttering bird at the apex of the building adds a touch of young amidst a lot of passing time. The road to Jenny Lake - barren and devoid of cars because I was the only one in the park with a camera - due to the government shutdown of 2013. Congressional bickering's minuscule upside was this wonderful place got a break from all the tourists. 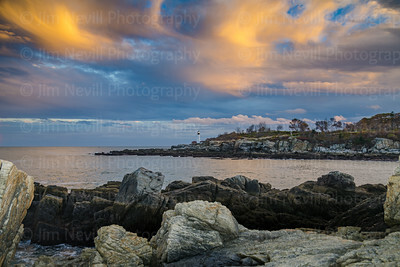 The Portland Head Lighthouse In Maine, USA With Dramatic Rock Formations Overlooking The Atlantic Ocean.